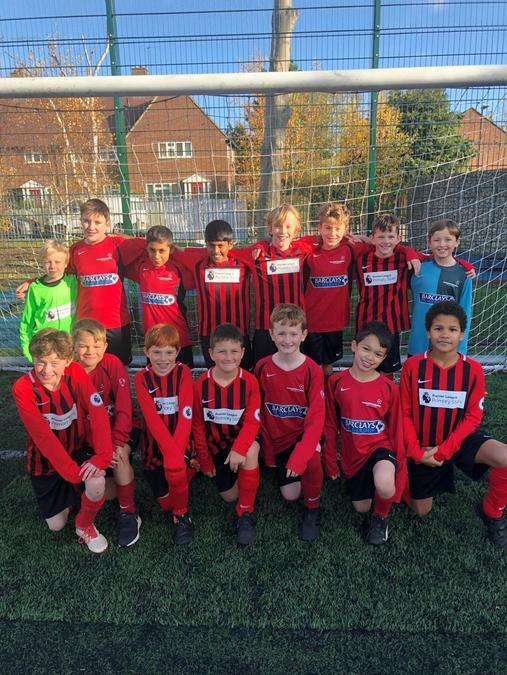 On Tuesday 13th November 2018, some boys from Year 6 and 5 had the opportunity to take part in this action-packed, fun and enjoyable competition. We had two teams, stripes and non-stripes. On the stripes team we had: Noah, Jeffery, Jeremiah, Matthew, Eoin, Adrian, Bobby and Samuel. On the non-stripes team, we had: Caolan, Zach, Dom, Ryan, Diego, William and Calum. The stripes team proceeded to draw all four of their matches. The non-stripes had one win, two draws and one loss. We want to thank: Mr O’Brien and Miss Betts for training with all of us and improving our skills. We also would like to thank Mr Betts and Ms Kennedy for taking us. Also, thank you to parents and Miss Lucas for supporting us. Now, a huge thank you to Watford FC for letting us use Cedars Training Ground for free so this tournament could take place. Also, thank you to Mr Gibson for arranging this amazing event. Noah Kennedy, Jeremiah Emmanuel Pillai and Dominic Harvey (Year 6 Sports Leaders).